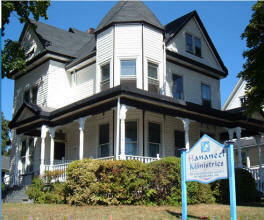 Hananeel Ministries is one of the oldest Jewish missions in the United States, celebrating its 100th anniversary in 2011. Originally established as "The Evangelization Society of Philadelphia" (a name it still carries) it has become more frequently known as "Hananeel" during the last 20 years. Hananeel Ministries has directed the greater part of its work to the greater Philadelphia region, which has one of the largest Jewish populations in the world. During the last decade the scope of the mission has broadened, as Rev. Tom Huckel, who formerly had been a National Missions Representative for Chosen People Ministries, joined Hananeel. Rev. Huckel's speaking engagements regularly take him throughout the East Coast, and occasionally elsewhere in the United States. Sharon Huckel, Tom's wife, a third generation Jewish believer, is an internationally distributed Messianic recording artist, recording her debut, "For Zion's Sake!" for Chosen People Ministries. In 1995 Sharon's second CD, "Tabernacle", was produced and released by Hananeel Ministries. Sharon's most recent recording, "Courts of Praise", was released in the spring of 2006 and has been receiving international airplay and distribution. Sharon travels regularly with Tom as she has always emphasized "music as ministry" supporting Tom's work and the ministry of Hananeel. While Hananeel's vision has broadened, the heart of Hananeel's ministry in Philadelphia has actually flourished. Hananeel Ministries, under the team leadership of Hananeel's Director, Rev. Huckel, Ed and Marion Eisen (also with Hananeel) and many other Hananeel staff, trainees, and able volunteers, has pioneered a work amongst the Russian-Jewish immigrants that have poured into Philadelphia in the last two decades. This ministry was originally pioneered with Frank Potter, formerly of Chosen People Ministries who has since retired from Chosen People and served for a time on the board of Hananeel. In addition to a Friday night outreach Russian-Jewish fellowship Hananeel conducts ESL Classes (English As a Second Language), and Bible studies, street-witnessing, visitation, and other special out-reach events. Hananeel, in addition to its active work in Philadelphia over the years, has often served as a clearinghouse of information on Jewish Studies and evangelism, by making a large range of tracts, books, and other materials, available to the Christian community. As we minister in this new millennium, the internet, and related information technologies, provide exciting opportunities for Hananeel Ministries to revitalize a once vital part of the mission's work. In addition, Rev. Tom Huckel is a highly respected expert on Messiah in the Feasts of Israel and Jewish outreach and he speaks at churches, conferences, and other special events, across the Northeast U.S. and beyond. In 1911 The Jewish Evangelization Society of Philadelphia was organized by the late Dr. William L. Pettingill, its first President, and Pastor O.R. Palmer (founder of Beracah Church, of Cheltenham, PA.), as Vice President. For many years the work consisted of prayer for Israel, distribution of literature and support of established missions to the Jewish people. In 1919 the Society entered into a more aggressive and direct labor among the Jewish people in Philadelphia. In 1928 the mission was incorporated officially as: "The Evangelization Society of Philadelphia, Inc." The mission has known four different address locations since its inception on Franklin Street. In the mid-50's, God was very gracious to provide a house in a good location as the mission's second headquarters. One of the missionaries at that time referred to it as "Hananeel (God is gracious) House," a name tag that has since developed into a title by which the mission became more frequently recognized. In 2003 Hananeel's board of directors decided to slightly modify the "DBA" to "Hananeel Ministries" to better communicate the work of Hananeel as some outsiders mistook the name Hananeel House to mean Hananeel was some sort of half-way house, or home. Hananeel Ministries can be described as an independent, fundamental, Bible believing ministry. We are "Baptistic" and hold to a dispensational understanding of Scripture. We therefore not only believe in Israel's PAST, as taught in God's Holy Word, but also in Israel's FUTURE as foretold by Scripture, God's prophets and Messiah Himself. We therefore labor in the PRESENT, convinced of God's continued and faithful love for His people yesterday, today, and tomorrow. We believe in the verbal plenary inspiration and inerrancy of the HOLY BIBLE; the fall and total depravity of humanity and their need for regeneration by faith alone in the sacrificial death of the Lord Jesus the Messiah; the eternal life of the saved, the eternal punishment of the lost; and the absolute Deity of the Lord Jesus; His virgin birth; His perfect humanity; the efficacy of His blood "shed for the remission of sins"; His real bodily resurrection from the dead and His ascension into Heaven; and the immanence of His pre- millennial return. We believe also that Israel is God's chosen nation, and that nationally they are elected to have an entire generation of Israel that shall be saved (Romans 11:25-26) after the Church is pre-tribulationally "caught up" to meet the Lord in the air (1 Thessalonians 4:17). We also believe that in the meantime, both Jewish and Gentile people who are outside of faith in Messiah are lost and without hope, and thus require the preaching of the gospel (Romans 10:1-5) for their salvation. We preach the gospel of Y'shua the Messiah, i.e. His death, burial and resurrection (I Corinthians 15:3-4); and the whole counsel of God. This is a faith work dependent upon God using His people for the supply of all our needs. Hananeel Ministries is a registered non-profit organization in the state of Pennsylvania. ESL (English as a Second Language) Classes, Russian/Jewish Bible Studies, Shut-ins Ministry, Street Evangelism, Scripture Distribution, Direct Mailings, Internet correspondence and web site, Evangelism Seminars, Messianic Music Concerts, "Messiah in the Passover" Seder Dinners & Demonstrations, "Messiah in the Feasts of Israel" Conferences & Israel in Prophecy Conferences, Messianic recordings, books, tracts, and other helps. (2) To individually reach as many unsaved Jewish people in the world with the gospel as God permits, beginning with the 400,000 in the greater Philadelphia area, and then channeling them into Bible-believing local churches. In 1911 the Lord burdened William L. DeGroff for the need of Jewish people to hear the gospel. As a result of this burden the Jewish Evangelization Society was organized with the help of the late Dr. William L. Pettingill, the mission's first President and Rev. O.R. Palmer, (founder of Berachah Church) vice-president. For several years the ministry consisted of prayer for Israel, distribution of literature and support of established missions to the Jewish people. The prayer meetings met at the American Sunday School Union and later at Philadelphia College of the Bible. Just before 1919, the mission moved into a row home in North Philadelphia located at 1213 N. Franklin Street. The house was given the nickname: "Beth Shalom" (House of Peace) and in 1920 the Society entered a more aggressive and direct labor among the Jewish people in the Philadelphia area. Mr. William L. DeGroff served as the mission's first Director, but after only a few months Mr. DeGroff went home to be with Lord. Rev. Matt S. Gallagher was asked to be the Director of the work but before the year ended, Rev. Gallagher felt led of the Lord to another ministry. The Mission's third Director was Miss Alice M. Patton (Hogg). Miss Patton began laboring as a volunteer worker in 1917 under Rev. Gallagher and upon his resignation, she was asked to direct the work of the Jewish Evangelization Society at the end of 1920. During her tenure as the Director she married Rev. Herbert Hogg. The Jewish Evangelization Society became incorporated in 1928 and the name was changed to The Evangelization Society of Philadelphia, Inc. [The change in the name of the Society was the result of a protest of the Jewish lawyers present at the time of the incorporation who did not want the word "Jewish" in the name of the organization. In order not to unduly antagonize the Jewish people or the lawyers, it was felt the name should be altered.] Mission Director Alice Patton (Hogg) also incorporated children's, young people's, and women's ministries. Indoor Bible classes and meetings were carried on as well as visitation to Jewish homes. A reading room was opened and a special display was placed in the window of the mission building on Franklin Street. Prayer continued for Israel during both weekly and monthly prayer meetings. As the work progressed, open air meetings were conducted in several different areas of the city and the Lord blessed with souls being saved. Churches in the Philadelphia area were increasingly becoming more burdened for Jewish missionary work. 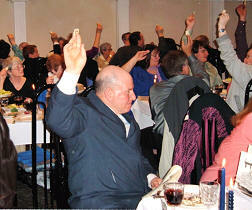 The Lord added additional staff members and volunteer workers as the ministry grew. It was also during this era that a very special family came to know the Lord through the door-to-door ministry of one very dedicated missionary, Fannie Miller. In 1950 after witnessing monthly for two years straight in the Rosenthal family's luncheonette, Marv Rosenthal (former Director of Friends of Israel Gospel Ministries and present Director of Zion's Hope) and his mother (later on his brother Stanley and other family members) were all led to the Lord through Fannie Miller's witness. In 1954 the mission moved its headquarters to 5415 Rising Sun Avenue. At that time, the staff recognized that it was truly through the graciousness of God that they were provided with an entire house for their new headquarters. Lillie Constable, one of the missionary workers had remembered that a youth camp in Northern NJ was called "Camp Hananeel" and that "Hananeel" meant "the graciousness of God," The workers then started to refer to the new headquarters "house" that God provided by His graciousness as the "Hananeel House." The name has since become part of our Missions present day name: "The Evangelization Society of Phila., Inc. / "Hananeel Ministries." Men's and Lady's Bible classes and children's and young people's works also flourished in this era. Weekly and monthly prayer meetings were held. Saturday Night Fellowship programs and an annual picnic became a regular part of our outreach. The Lord granted a fruitful ministry under Mrs. Hogg's Directorship and after approximately 40 years of being associated with the work, in 1958 she felt led of the Lord to retire and resided at the Quarryville Presbyterian Home. After Mrs. Hogg retired the Board of Directors asked Rev. J. Keith Whitney to take over the Directorship at the outset of 1959. Rev. Whitney first came in touch with the work about 1949 and helped from time to time as a volunteer worker. From that location street meetings became expanded to more neighborhoods and to schools. Door-to-door and store-to-store ministry took place. By 1956 Rev. Whitney had seen the good work of the mission and he felt led of the Lord to come as a part-time staff member. He was serving as Associate Director at the time he was called to be the Director. Rev. Whitney served as the Mission's Director for five years until he was called to another Jewish work in 1964. For the next several years the mission was officially without a Director until one of the Board members Millard C. Wilson stepped into the position and served as Mission Director from 1970-1973. In the Fall of 1973, Rev. Charles App, Jr. took the helm as Mission Director. Rev. App was directly responsible for the production of Hananeel Ministries' multimedia production: "Looking for the Promise". Rev. App served as Director from 1973 until 1979 when he felt called to pastor a local church. In 1980 a former missionary from the American Board of Missions to the Jews, Rev. Arthur Watson began his brief tenure as Director until he was taken home to be with the Lord in 1981. Once again the mission's faithful friend Rev. J. Keith Whitney began his second era as mission director in 1982. When Rev. Whitney returned to Hananeel Ministries from Hebrew Christian Fellowship, he brought another missionary along by the name of Ruth Hample. In 1982 the ministry moved to a temporary site located at 13065 Bustleton Ave. Here the mission encountered a conflict with the Somerton Civic Association which had a politically influential Jewish person as one of their members. The mission ended up operating under protest. In 1983 Ruth Hample wrote and produced one of the major events in the history of Hananeel Ministries; a musical cantata entitled: "Israel My Glory". 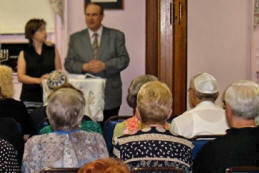 Held at "The Doral" in Northeast Philadelphia, a large choral production served as a major outreach to the Jewish community. In 1984 the Lord moved the mission to a larger and more adequate location at 14400 Bustleton Avenue, where Hananeel still resides to this day. The Lord gave the mission quick, legal, operation at this location and the work continued to be blessed by God. Rev. Whitney stepped down from his second stint as Mission Director in 1987 and began serving as a Field Evangelist for Hananeel Ministries. At that time God called Dr. Robert J. Figge Jr. from his teaching position at Manna Bible Institute and he served as the mission's Director from 1987 until 1988 when he accepted the call to pastor a church in New Jersey. For the third time Rev. J. Keith Whitney was pressed into service and Keith served as the mission Director from 1989 until 1992 when he retired along with his wife Virginia and moved to Pittsburgh, Pa. In 2002 Rev. Whitney resumed his association with Hananeel as an official field representative. In 1990 the Lord called Rev. Thomas Huckel from his position as a National Ministries representative with Chosen People Ministries to serve as the Director Designate for the next two years at Hananeel under Rev. Keith Whitney. When Rev. Whitney and his wife Virginia (office manager) retired in 1992, Rev. Huckel and his wife Sharon took over as Director and Office Manager, respectively. Rev. Huckel was discipled and tutored in Jewish ministry by Mitch Triestman and left a career in management when he felt God's divine calling to Jewish ministry. Rev. Huckel is a graduate of Philadelphia College of the Bible, and has an M.A. with an Old Testament concentration from Biblical Theological Seminary in Hatfield, PA. Tom's wife, Sharon, is a third generation Jewish believer. Sharon has been blessed with a tremendous voice and has been a wonderful compliment to Tom, ministering through song. While serving with Chosen People, Sharon's ministry of music so impressed the ministry's leadership that a music project was commissioned, resulting in the classic Messianic praise album, "For Zion's Sake." Since 1992 Rev. Huckel, utilizing his business background, modernized organizational methods and began recruiting new missionaries, many of whom are in training at the present time. Before Ruth Hample retired she passed the baton to Jewish believer, Marion Eisen, who introduced the mission to a whole new outreach among the Russian/Jewish immigrants in the Philadelphia area. This ministry has blossomed and been responsible for many Jewish people coming to know the Lord. In 1995 Rev. Huckel's wife Sharon produced her second Messianic Music album, entitled, "Tabernacle." The recording has received excellent reviews in several Messianic publications and met the high standard set by her first project. Both albums contain substantial writing contributions from Messianic song writer, Steffi Rubin, who penned the popular praise chorus "Trees of the Field." Sharon's most recent recording, "Courts of Praise", released in spring of 2006, is a delightful blend of Sharon's classic Jewish style, modern praise, and covers of classics such as "Take My Life and Let it Be", and "There is a Redeemer". Much has changed since Hananeel's inception in 1911. Prophetic prophecies concerning Israel, for example, which may have seemed silly to some in that time, are almost "old hat" as Israel has now celebrated over 60 years as a nation re-born. In more modern history, few might have dared predict the collapse of the communist Soviet Union, the fall of the Berlin wall, and the emigration of millions of Soviet Jews formally shackled behind the "Iron Curtain" that opened up a new window of ministry for our mission. Hananeel Ministries, throughout these many years, and tumultuous events of history, has stood as "Israel's Friend" and will continue to do so, if God wills, until the return of Messiah for His Church. Until then, there is work to be done, and we can take comfort that our work is upheld through the grace of God, who NEVER changes, the Lord, Jehovah, the God of Isaac and Jacob, whom we still serve! Where are you located? Hananeel has been located in Philadelphia, Pennsylvania, since its inception. Are you a non-profit organization? Yes, Hananeel Ministries is a registered non-profit organization and charitable gifts to Hananeel are tax deductible. What does Hananeel mean? Hananeel is derived from Hebrew, and means "God is gracious." There is a tower named Hananeel in Scripture of some prophetic import - see Zechariah 14:10. How can I support your work? We first, and foremost, desire the prayers of God's people as we serve Him. If you feel led to support the work of Hananeel in some additional way there are several ways you could be of help. Besides financially supporting our ministry we also have physical plant needs, if you are handy. If you live in our area, you might lend a hand as a volunteer in some aspect of our ministry. If you have interest in any of these areas, or just want to drop us a line, to let us know you are praying for us, it would be a great encouragement to hear from you. Hananeel has made on-line giving available at the request of friends and supporters. Please click here (add link!) to learn more about giving to support the work of Hananeel Ministries. Do you mind me adding your site as a link on my own web page? No, please do. If you "borrow" information, or graphics, from us we would, of course, expect appropriate acknowledgement. 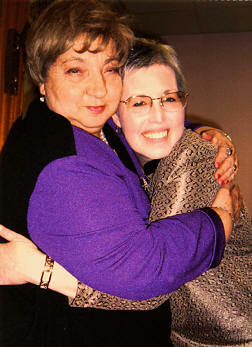 If you have a special need, like inserting a link from Hananeel in an iFrame, please contact our webmaster. Would you add my site as a link on your page? We are currently compiling a list of links we are considering for publishing on our site. If you submit your link, or some other favorite link(s) of yours, we will certainly consider it.